Clinique Pore Refining Solutions Foundation is amazing. It does what it says on the bottle and literally makes your pores invisible!! 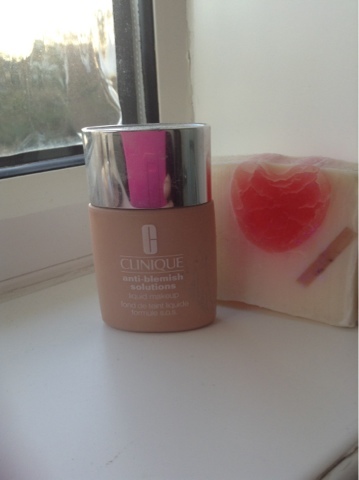 This foundation is so lightweight and leaves your skin looking problem free. It gives light - medium coverage and is a foundation suitable for all year round. It is lightweight, long lasting and easy to use with cream based products if you fancy changing up your products for the day.. The only criticism I have, is that it states 'suitable for all skin types' which technically it is, but I have dry skin and I found it a little difficult to blend. It made my skin patchy where it clung to dryer areas of my skin, however I tried it again but applied a good layer of moisturiser underneath and found it a lot easier to use. This product is a high end foundation. Clinique is a fantastic brand, their products are great for people who suffer from irritated, sensitive and problem occurring skin. A little pricey if your not one for spending too much money on your makeup products, however definitely a product worth recommending. Personally I would say that it is the best foundation on the market for oily skin that I have discovered, and it does leave your pores invisible and your skin looking flawless!! Whats your favourite Clinique product? Tweet me @alystephens, instagram me a photo or please do leave me a comment underneath as I would love to know what you think!